in record time, without coding. With Intuiface you can connect your user interface to external data and extend your design to incorporate business logic and any object found among the Internet of Things. Don't want to be limited to static data? Want to link the user experience to a back office system? You can do it with Intuiface. Your Intuiface experience can write to and read from Microsoft Excel spreadsheets. List information and media references in a spreadsheet; Intuiface reads, filters, sorts and displays that content using templates you create. Update the spreadsheet and the display updates automatically. 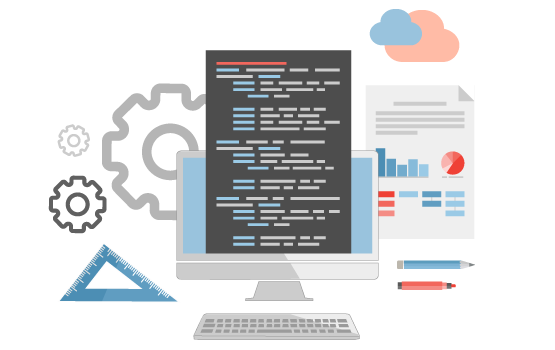 Without writing a line of code, automatically generate a dynamic connection to any REST-based Web Services API, enabling you to display or upload content in real-time. There are tens of thousands of free services out there offering everything from weather information and stock quotes to NASA photos, museum exhibits and real estate listings. Or use a paid service for your own content management system or connected device. Out of the box you will be able to display Twitter feeds, RSS feeds & Flickr images all in real time. Add as many instances as you want to any scene and control them at runtime, updating at predefined intervals and/or enabling users to run custom searches. 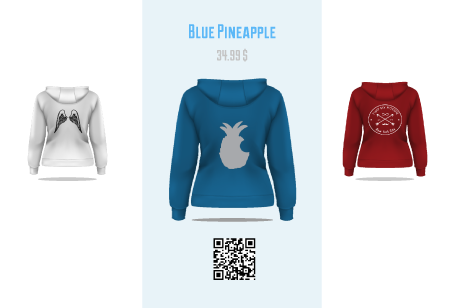 Beacons, particularly popular in retail, are low-energy devices broadcasting information such as product name and price or URL. Enhance your interactive experiences with beacon support. 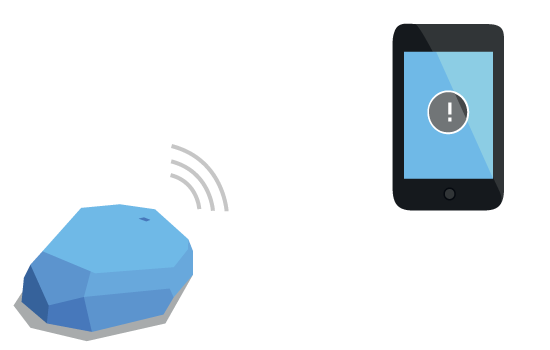 Broadcast Eddystone-encoded URLs, detect the proximity of iBeacon and Eddystone-ready devices, capture tag IDs over Bluetooth LE and use them to display information in context. QR code readers, bar code scanners, chip and pin devices... All of these and more capture unique identifiers. These identifiers, aka tags, can be sent to Intuiface and then used to pull up associated information. For example, swipe your membership card and Intuiface says "Hi Geoff!" 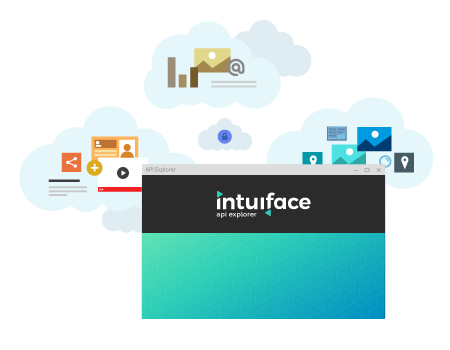 The Intuiface Web Triggers API enables any third party data source, business logic, or device to talk to Intuiface. 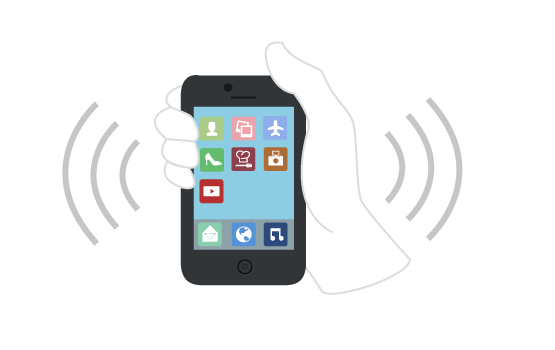 We support IFTTT and Zapier out of the box or you can create support for your own services and devices, like back office systems or RFID/NFC readers. 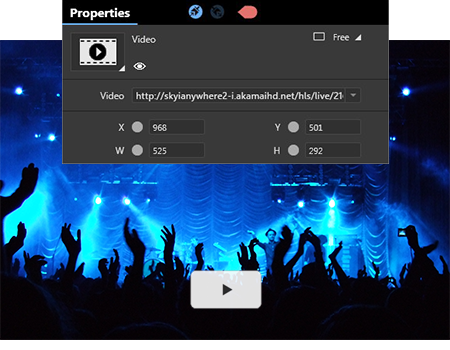 Enhance your experience by displaying live streaming video broadcast via any Web-based video protocol. This real-time display complements Intuiface's support for both local videos of virtually any format and server-hosted video sources like YouTube. Intuiface experiences can communicate with one another across your local intranet or the Internet. A trigger in one experience can launch actions in another. 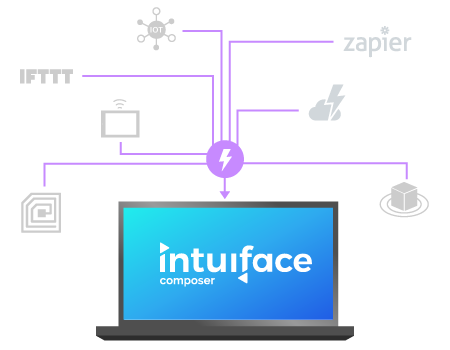 And a remote action API enables you to use third-party applications to control Intuiface experiences as well. Connected objects are devices - other than traditional PCs, tablets and phones - that can be accessed, queried and/or controlled over the Internet. Make them part of your experiences. 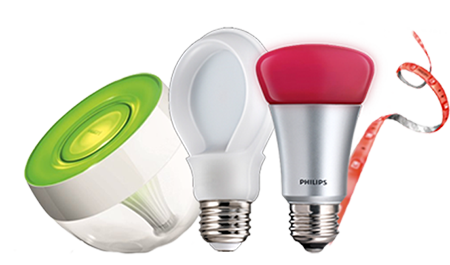 We ship Philips hue support out of the box as a working example, plus we document how you can build your own connected object support. Your prospect wants a brochure emailed to them? Marked up a schematic with colleagues and want to save it for future reference? Use Intuiface’s media sharing capabilities so important information doesn’t stay locked on the screen. 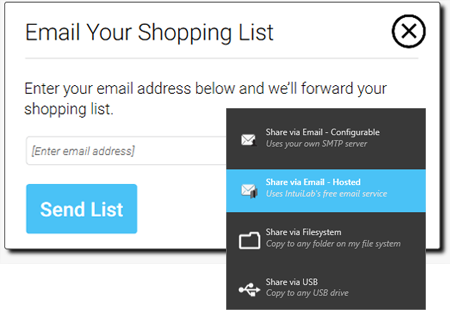 Send emails with attachments or save content to the local file system or a USB memory stick. Intuiface can take any URL as input and display the corresponding QR code. Create take-home information on the fly for kiosk visitors without knowing in advance which information will spur their interest. Perhaps use this in combination with Intuiface's beacon support!